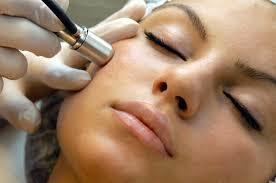 Microdermabrasion is a fabulous non-invasive treatment that gives your skin an instant boost. At Finchley Cosmetic Clinic a trained therapist performs your microdermabrasion, which gently exfoliates the top layer of skin revealing the glowing layer underneath. This procedure can take years off by sending a flow of fine medical crystals over the skin, followed by a cooling lifting mask to finish the treatment. Microdermabrasion repairs fine lines and eradicates age spots whilst improving sun damage and hyperpigmentation. Collagen production increases after your treatment giving you a healthy glow. Microdermabrasion works best as a series of treatments and we recommend that you book a course.